A career as a home health professional can be rewarding, emotionally satisfying, and even flexible enough to accommodate a healthy work/life balance. 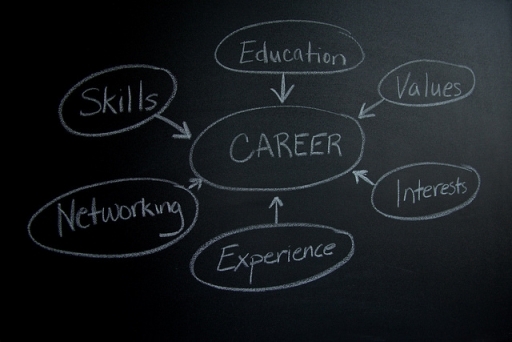 Choosing to pursue a career in home care is just the beginning. Once you’ve decided to become a home health aide (HHA) or personal care attendant, you must decide how and where to find employment: at a hospice or nursing home, with a home care agency, or as an independent provider. Whether you’re just starting your career in home care or are a seasoned vet, employment at a home care agency is the most popular option for HHAs and personal care attendants. As an employee of an agency, you are subject to screening and background checks upon hire and receive initial and ongoing training during your employment. The agency is responsible for managing your assignments, benefits, and vacation and sick leave. While specific working conditions and hierarchies vary, most agencies train and assign you tasks to perform in accordance with the client’s care plan. Certification requirements among agency-employed HHAs and personal attendants vary according to state and agency regulations. Some may offer licensing and certification incentives to prospective hires, while other agencies require certification and previous experience before considering you for employment. All agencies perform drug and criminal screenings and most do require professional references. HHAs and personal attendants choose to provide care independently for many reasons. Primarily, independent providers have the flexibility to accept or reject assignments and arrange their schedules as desired. Additionally, independent providers work closely with clients and their families to discuss expected tasks and to manage salary and time off. Independent home care providers enjoy more control and flexibility over their careers and daily tasks, but must seek out clients on their own. Just like agency employees, independent HHAs and personal attendants are subject to background and reference checks by their prospective clients. As an independent HHA, you should be certified and licensed to work in your state, although some clients will hire non-certified aides for less pay. In terms of earning potential, independent providers set their own rates and can theoretically earn more than their agency counterparts, but must front the costs associated with seeking clients. Agency employees generally have contracts and are guaranteed a minimum of hours worked; additionally, agency employees’ wages are regulated by the Department of Labor ensuring fair pay rates. Deciding which career path to choose in caregiving can be difficult, but an honest assessment of your personal strengths and weaknesses can go a long way to making it easier. For those who are more disciplined, organized with time management, and able to handle the tasks associated with seeking clients (placing ads, conducting phone and in-person interviews, etc. ), independent caregiving may be right for you. For those seeking a more structured environment with the convenience of having tasks and clients assigned, agencies are a better bet. Most home health professionals begin their careers at an agency and only choose to become independent providers later into their careers as their personal circumstances change and they’ve gained experience from working with knowledgeable industry insiders. If you are looking for an agency job, Abcor is always looking to hire for both their Chicago home care and Chicago home health departments. Call us today to find out more!